We supply blade holders for our RAZOR, CHIP and other types knife blades. RAZOR blade - 0.25 mm thick stainless steel - for tube & profile up to 10 mm outer diameter. 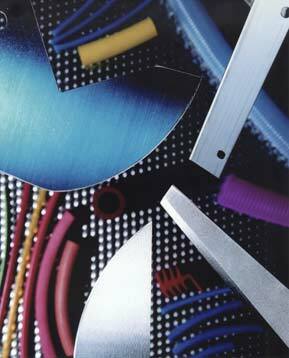 CHIP blade - 0.38 mm thick stainless steel - for tube & profile up to 20 mm outer diameter. The blade holders are made from aluminium & attach onto our standard Servo-Torq® cutter head. Angled blade holders are also available for either single or twin blades. Datasheet - Blades holders (PDF). Drawing - CHIP blade holder (PDF).